Many of the families of Saxis Island can trace their ancestry to the Jamestown settlement. The people of Saxis have survived hurricanes, nor'easters, floods and freezes. The rigors of living in such a remote community can be seen in the sunburned faces and calloused hands of the watermen. 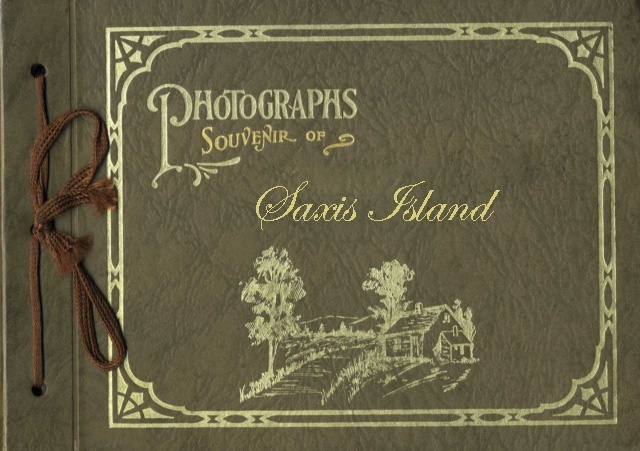 Moody K. Miles III and Barry W. Miles have been researching the families of Saxis Island for more than 35 years. Their genealogy database, The Miles Files, can be viewed on the Eastern Shore Public Library website. Left to right: first row - Vera Linton, James Miles, Lee Young, Earl Drewer, Mahlon Knight, Hilda Knight, Charlie Furniss, Bryan Evans, Cleve Linton, Jack Glen, John Porter, Irma Spence, Miriam Evans, Bernice Corbin, Alma Hall, Christine Marshall, Vincent Lewes, Wilson Glen, Violet Lewes, Volice Martin; second row - Charles Moore, Hillis Bonawell, Paul Martin, Carlton Marshall, Winston Evans, Dora Martin, Faye Lewis, Nora Hall, Isabelle Porter, Alice Ennis, (unknown), Lulu Linton, Carletta Mister, Winnie Martin, Daphine Drewer, Altha Marshall, Evelyn Lewes; third row - (unknown), Adrian Mister, Ashton Miles, Romeo Ellis, Liddel Rhodes, Haru Miles, Ione Linton, Valli Miles, (unknown), (unknown), Verna Young, Francis Miles, Gertrude Lewes, Leona Miles, Thelma Drewer, Emma Lewes, Agnes Shaw, Miles Rhodes; fourth row - (unknown), John Lewes, (unknown), Adolph Marshall, Ronald Linton, Dorsey Marshall, (unknown), (unknown), James Porter, (unknown), (unknown), Hazel Furniss, (unknown), Ethel Evans, Amada Drewer, Josephine Cutler, Jewel Drewer, (unknown), Beatrice Marshall, (unknown) and (unknown). The principal was Mr. Bud Taylor. Sent in by Edna Taylor, New Church, and found in an album owned by her mother, Virginia Furniss Deputy. Left to right: first row - Bassie Lewes, Bessie Marshall, Carroll Marshall, James Chance, Granville McCready, James Lewis, Ruth Ellis; second row - Willie White, Jessie Miles, Hayward Lewes, William Linton, Elsie Annis, Mary Lewis, Ralph Matthews; third row - Daphine Drewer, Jerna Marshall, Milton Crockett, Bryon Evans, Jewel Annis, Violet Lewis; fourth row - Miriam Evans, Owen Marshall, Andrew Linton, Frank Linton, Edwin Linton. Elizabeth Weaver - teacher. photographs contributed by the people of Saxis, VA.